A “Tow” can be as little as one small towboat and one barge up to one line haul towboat and 40 to 50 barges. Our tour will feature our 1/5 scale towboat and its single half barge. Local, shorter distance, tows can be ten or fewer barges especially where you have to go through small locks. Barges in a tow are held together with large steel cables. These are tightened with “steamboat ratchets” or winches. 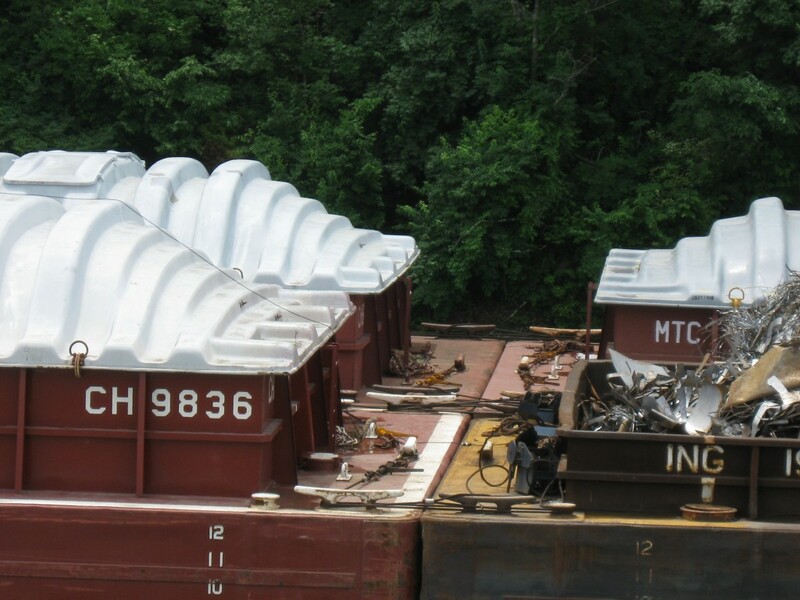 On the upper Mississippi, where there are locks, tows are limited to 15 barges in a single tow with 5,00 to 6,00 Hp medium size towboats..
On the lower Miss, with no locks and a wider river, tows can get as large as 40 to 50 barges and are pushed by line haul boats as powerful as 10,500 Hp.